Frog is happy, because today is his birthday. He wants to see his friends, because a party is not complete without them. Frog’s friends react surprised, it looks like they have forgotten about his birthday! 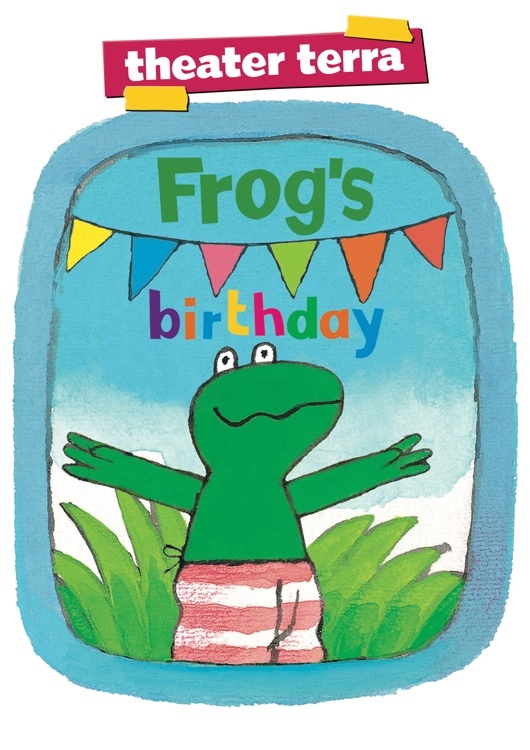 Will you come to the theatre to celebrate Frog’s birthday with him? 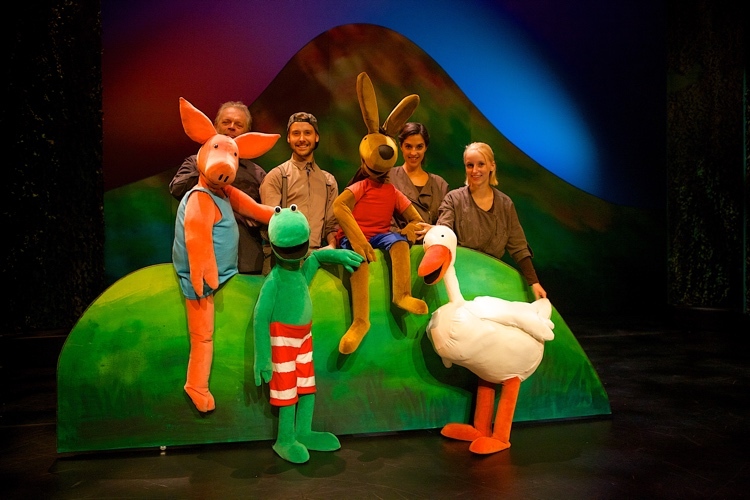 The Frog shows from Theater Terra have been performing around the world, including the Netherlands, Belgium, the United States, Canada, the United Kingdom, China and Japan – and have won numerous awards. 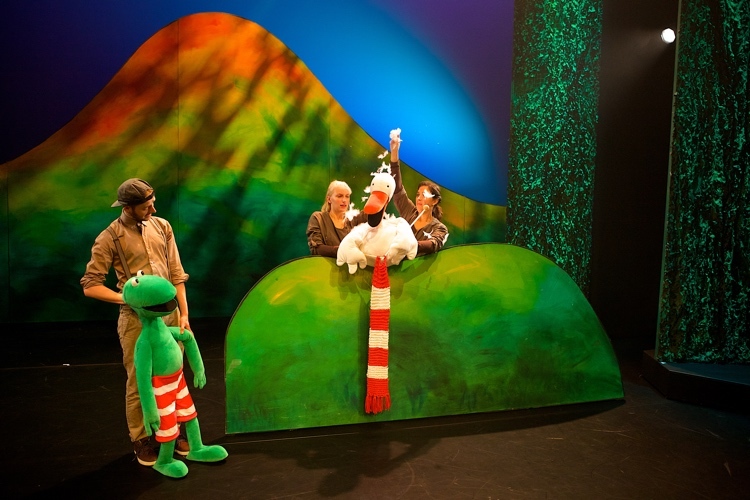 The shows are based on the Frog children’s books by Max Velthuijs and for the 25th anniversary of the first book, a brand new show has been created to celebrate Frog’s birthday. Following the successful North American tour of Theater Terra’s Spot in 2015, the new production Frog’s Birthday will start touring throughout the United States and Canada in 2016. 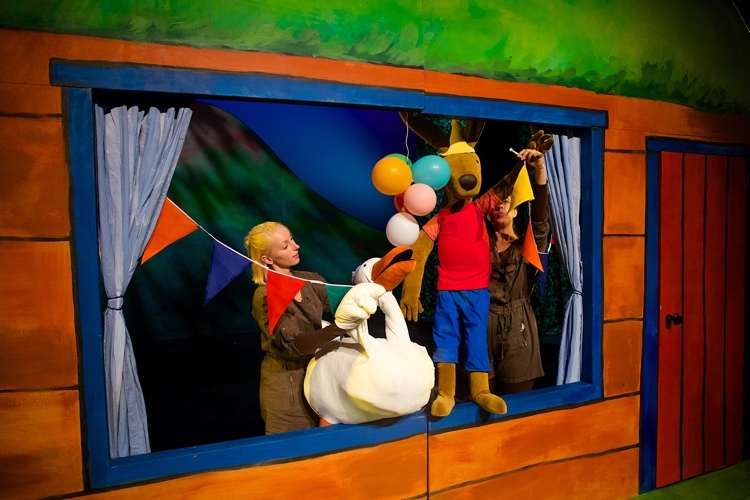 Puppetry show with musical songs, for ages 4 and up. Presented by arrangement with Leopold Publishers and the Max Velthuijs Foundation.